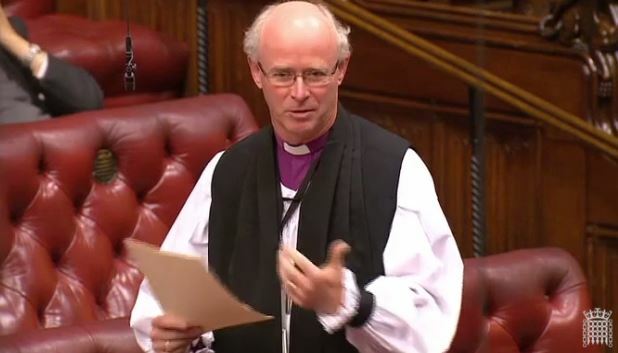 On 26th January 2016, the Bishop of Rochester, the Rt Revd James Langstaff, took part in the Second Reading debate of the Government’s Housing and Planning Bill. The Bishop raised concerns about the impact of the bill on affordable housing and lifetime secure tenancies. The Bishop of St Albans also spoke in the debate. The Lord Bishop of Rochester: My Lords, I, too, welcome the opportunity to hear the maiden speeches of the noble Baroness, Lady Thornhill, and the noble Lord, Lord Thurlow. I look forward to the contributions that they will make to your Lordships’ House. There is a clear view on all sides of this House, the other place and across large parts of the nation that more housing is needed. The questions concern whether this Bill will help to deliver that housing in the right way and in the right places for the people who need it most. Within my diocese at Ebbsfleet we have one of the largest single housing developments in the United Kingdom—a completely new development which will house up to 45,000 new people. While I have questions about some of the details of that development, and some of the details are as yet unknown, I am generally supportive of what is intended. So I am not against new development and I welcome those things in the Bill which may make that possible in appropriate ways. I welcome the proposed register of brownfield land and the streamlining of aspects of our planning processes, some of which have already been referred to by noble Lords, and the encouragement of self-build and custom-build initiatives. I also welcome the intention to introduce new regulation in the private rented sector, and urge that detailed attention be paid in the framing of regulation to matters of quality in that sector. One would dare to hope that in that sector, property of the quality in which even noble Lords would wish to live could be guaranteed, which might be a suitable benchmark. Others have spoken already about starter homes. Perhaps they are a useful addition to the overall spread of housing tenures but I am anxious about their inclusion within the definition of affordable, not least because that affordability will disappear after a short period, when it is possible for that home to be sold into the private market at private benefit. I think that my right reverend friend the Lord Bishop of St Albans will address the rural implications and perhaps some other issues. I know that other noble Lords will also address specific issues within the scope of the Bill. I want to spend some time on the ending of lifetime secure tenancies, which was just referred to and which was introduced in the other place, and, with it, the so-called pay-to-stay provision. To move from a potentially lifetime tenancy to one that is between two to five years in one jump is a huge change. Quite apart from the significant bureaucracy which might be involved and might in many ways be unnecessary because the tenancy will simply continue, there are serious issues here. Mention has already been made of the income threshold for the pay-to-stay provisions and the fact that £40,000 in London—if that is where it ends up—and £30,000 elsewhere is pretty low in terms of household incomes. To put it another way, such incomes would not be able to sustain a mortgage on a starter home. My concern is not just about individuals but about the effect on the health of communities, which is the point I really wish to make. Council house communities need within them people who will give leadership, engage in voluntary activities and sustain community life and civil society. I have lived and worked in such communities, and I know the truth of that. It is often tenants who are ready to make something of their opportunities, who re-engage with education, learning and training in adult life, who bring that leadership to those communities. They find their way into employment and their incomes increase. Some will move away anyway and always have; but this Bill makes it more likely that those who better their lot in various ways will have no option but to move out of such communities. These communities sorely need the skills of such people—some Members of your Lordships’ House are examples of such people—with their drive and social and economic entrepreneurship. The danger is that some of our most struggling estates will struggle even more because they will lose the people who have the capacity to bring transformation. Surely that would not be a good outcome. I encourage the Minister and her colleagues to think about the implications of some of these provisions, not just for individuals but for communities. I am sure that we all want to see thriving and vibrant communities, which need ranges of people within them, not least in the more deprived parts of our nation and in communities which house the more vulnerable in our society. I look forward to continuing to engage with this Bill as the debate continues. As we move into Committee and other stages, I am sure there will be lots of contributions. Certainly, I shall keep my eye on some of the matters I have mentioned, which I am sure others will wish to touch on. The issue that starter homes are unaffordable was raised by the noble Lords, Lord Kennedy, Lord Thurlow, Lord Young of Cookham, and Lord Kerslake; by the noble Baronesses, Lady Andrews and Lady Doocey; and by the right reverend Prelates the Bishops of Rochester and of St Albans. I will focus now on the price cap versus the average price. The price cap in the Bill is £250,000 outside of London and £450,000 inside of London. That is a cap and not an average. We fully expect starter homes to be priced well below that cap. The average price for a first-time buyer of properties in England in 2014 was £226,000, and the equivalent starter home would have a discounted price of £169,000. In London the discounted starter home price based on 2014 prices would be £291,000. The experience of help to buy bears this out. Eighty per cent of the properties sold were bought by first-time buyers and the average price of homes purchased under help to buy of £186,000 was well below the national average of £286,000. That means that starter homes will be more affordable than some noble Lords fear…. Noble Lords, including the noble Lords, Lord Kerslake, Lord Adebowale and Lord Stoneham, the right reverend prelate the Bishop of Rochester and the noble Duke, the Duke of Somerset, are concerned about the wider implications of the Bill and the future of social housing, especially when local authorities are selling their high-value assets. We are considering a number of types of housing that could be excluded when that is taken into account, and cases where housing will not be considered to have become vacant. We are engaging widely, and I will make sure that the points raised here are taken into account. I would also be happy to meet the noble Lord, Lord Adebowale, to discuss housing co-ops in particular. In addition, the Government are committed to using a portion of the receipts to fund the building of additional homes. The Secretary of State and the local authority can enter into an agreement for the local authority to retain part of its receipts to lead on the delivery of more homes that meet housing need…. …The noble Baronesses, Lady Bakewell and Lady Thornhill, the noble Lords, Lord Kennedy and Lord Cameron, and the right reverend Prelate the Bishop of Rochester were concerned about the level at which people are classed as having a high income. The issue is whether people on those household incomes, which are above the average median wage of £26,000 a year, should automatically benefit from a lower rent than people in comparable private rented housing. Our view is that it is not fair for the taxpayer and that it is an issue that should be tackled. It is also important to recognise that social housing should be prioritised to those in genuine need. There will be households on lower incomes that are more in need of social housing for rent. We do not want to damage work incentives and that is why we are proposing a taper, as mentioned by the noble Baroness, Lady Doocey. That would see rents rise gradually in relation to income. Doing so will ensure that households are incentivised to accept higher-paid work so that they see a range of benefits from that income. …On lifetime tenancy, many Members, such as the right reverend Prelate the Bishop of Rochester, suggested that reviews of social tenancies would place undue pressures on local authorities. Keeping that under review should already be part of good tenancy management, but in any case, we expect that savings over the long term are likely to outweigh any additional costs from reviewing tenancies.